The 17-year-old Izumi Shinichi lives with his mother and father in a quiet neighborhood in Tokyo. 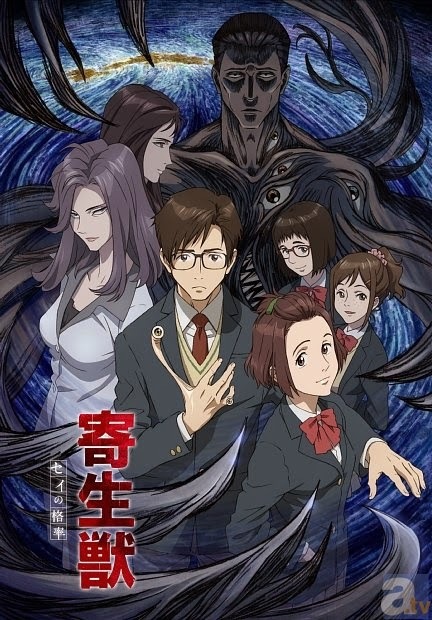 One night, worm-like aliens called Parasytes invade Earth, taking over the brains of human hosts by entering through their ears or noses. One Parasytes attempts to crawl into Shinichi's ear while he sleeps, but fails since he is wearing headphones, and enters his body by burrowing into his arm instead, taking over his right hand and is named Migi. Because Shinichi was able to prevent Migi from travelling further up into his brain, both beings retain their separate intellect and personality. As the duo encounter other Parasytes, they capitalize on their strange situation and gradually form a strong bond, working together to survive. This gives them an edge in battling other Parasytes who frequently attack the pair upon realization that Shinichi's human brain is still intact. Shinichi feels compelled to fight other Parasytes, who devour humans as food, while enlisting Migi's help.